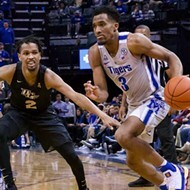 Jeremiah Martin's latest scoring surge helped the Tigers erase a four-point halftime deficit Saturday night at Wichita State and earn their fourth victory of the season away from FedExForum. 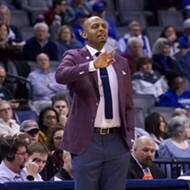 Martin came up three points shy of his third 40-point outing of the month, drilling nine of 19 shots from the field (including five of eight three-point attempts) and connecting on all 14 of his free throws. 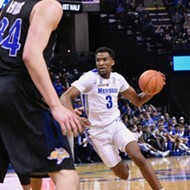 The 37 points vaulted Martin past Andre Turner and into 13th on the Memphis alltime scoring chart. 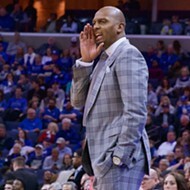 The Tigers earned their third two-game sweep in American Athletic Conference play by beating the Shockers. (They also swept East Carolina and Tulane.) Memphis improves to 9-6 in the AAC and 17-11 overall. 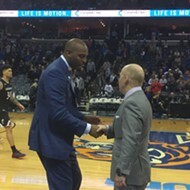 The Tigers trail UCF (9-4) by two games in the loss column for fourth place in the conference, a position that would earn them a bye in the opening round of next month's AAC tournament in Memphis. 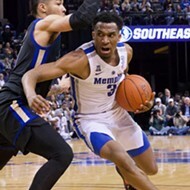 Raynere Thornton added 16 points and Kareem Brewton 14 for the Tigers. Memphis shot 46 percent from the field. Dexter Dennis and Jaime Echenique scored 17 points to the lead the Shockers who fell to 13-13 on the season (6-8 in the AAC). 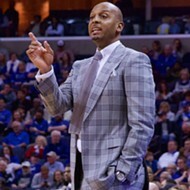 The win — the Tigers' fourth in five games — clinches a .500 record for Memphis in the AAC. They have three regular-season games remaining on the schedule, the next a home matchup with Temple on Tuesday night. Tip-off is scheduled for 8 p.m.